We are always making smoothies in our house, especially around breakfast time. Also in rotation at breakfast is cereal, sheet pancakes and oatmeal. But sometimes, the mornings are too rushed for a sit down breakfast, at least for me, when I’m doing all the mom things to get the kids out of the house for school on time. Because of that, one day the Banana Oatmeal Smoothie came to be! It has all the convenience of a smoothie and the benefits of oatmeal and fruit all in one. Did I mention it’s delicious too? Kind of a win-win situation if you ask me. So of course, I had to share this recipe so all of you could enjoy it as well! 1. Add all the ingredients into the blender, starting with the liquids at the bottom. 2. Blend until everything is completely combined. If it’s too thick for you to drink, add some water and blend again until you have the consistency that you like. That’s all there is to the Banana Oatmeal Smoothie. 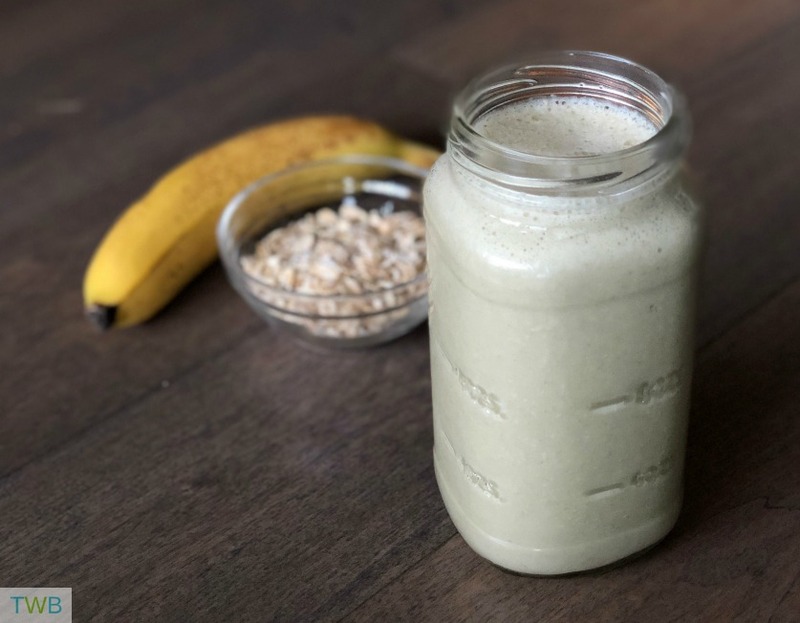 It’s perfect for breakfast or even as a post workout drink and it tastes great! For more great smoothie recipes, check out this Pinterest Board. Are smoothies popular in your house? I love the taste of bananas in my smoothies, so I’ll definitely give this recipe a try! Looks delicious❤ ever added frozen yogurt?